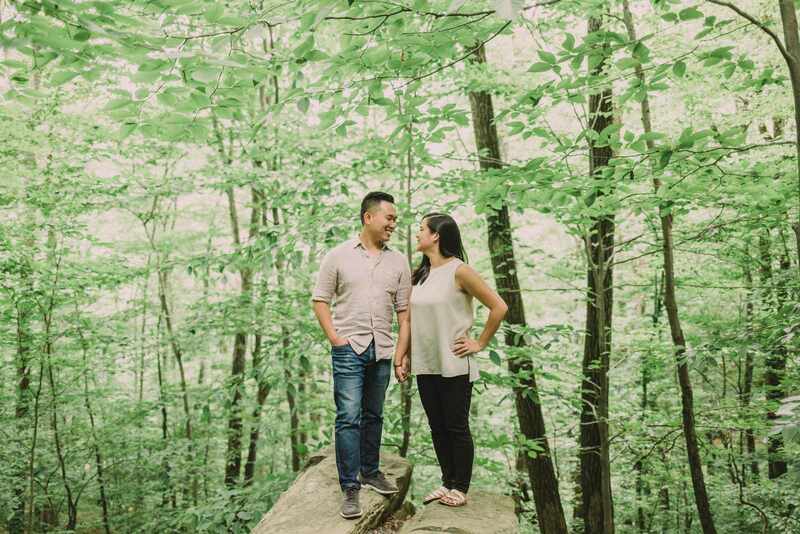 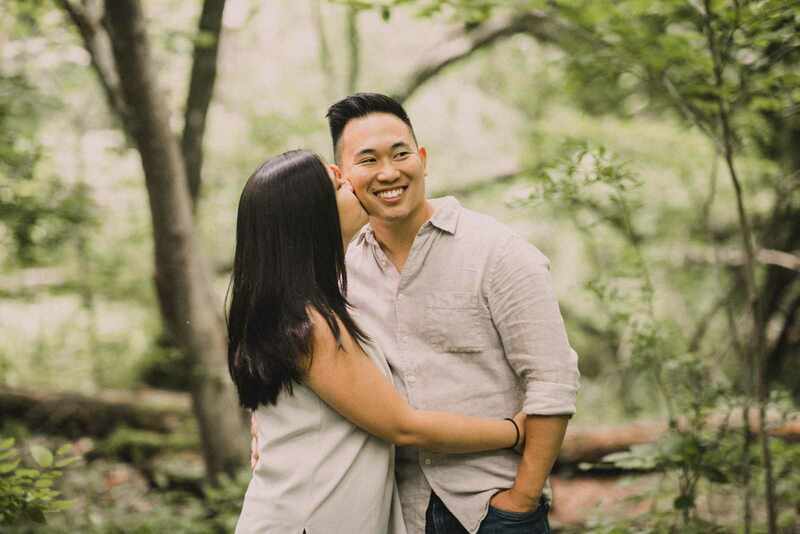 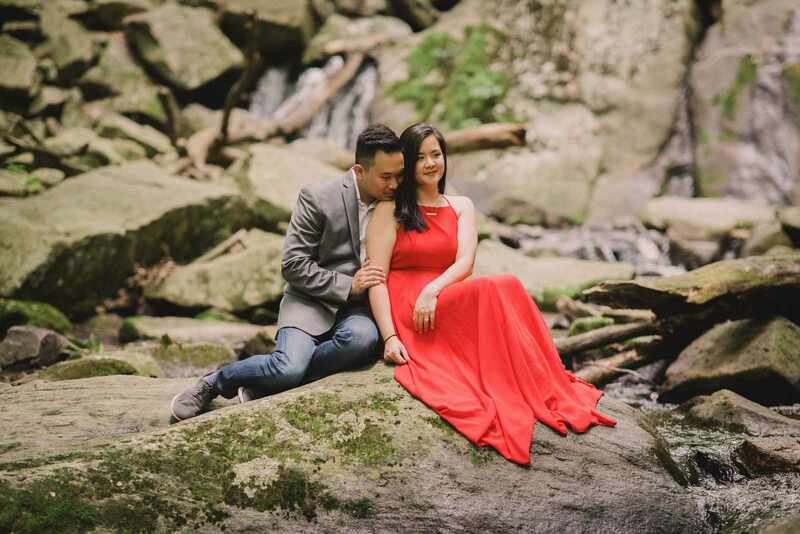 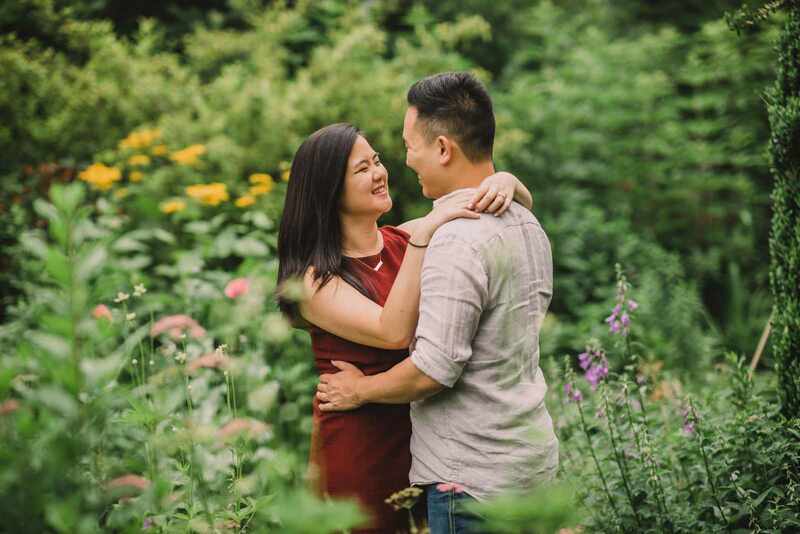 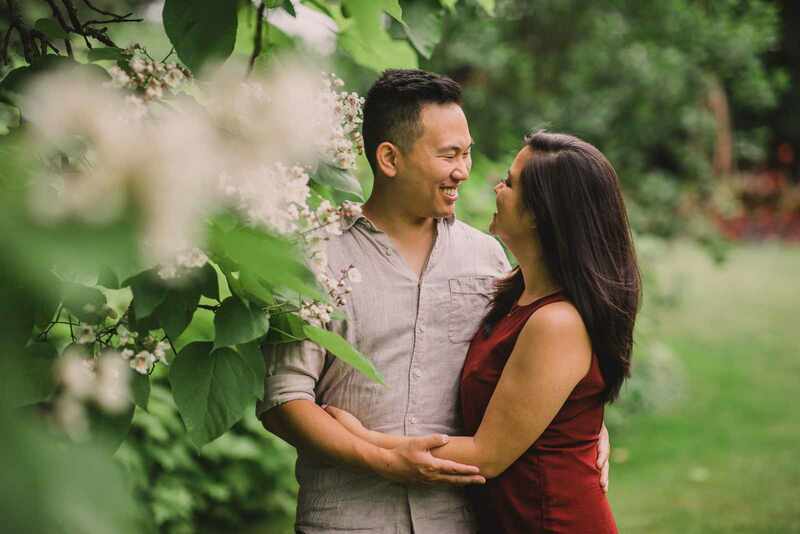 Below are just a handful of the many amazing photographs from this two location engagement session at Hacklebarney State Park and the beautiful Willowwood Arboretum which are both located down the path from each other in Far Hills, NJ. 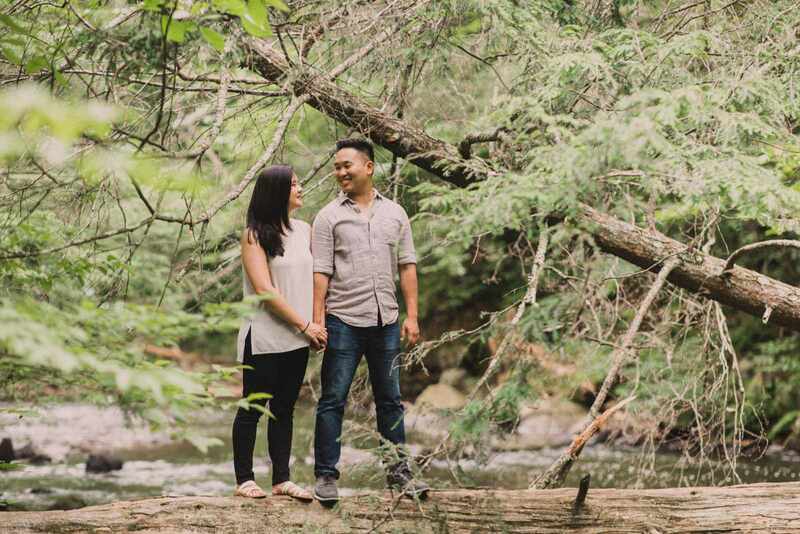 After much exploring, hiking, and climbing up and down mountais (or maybe just some big hills) we came across a beautiful riverside area complete with waterfall and giant boulders. 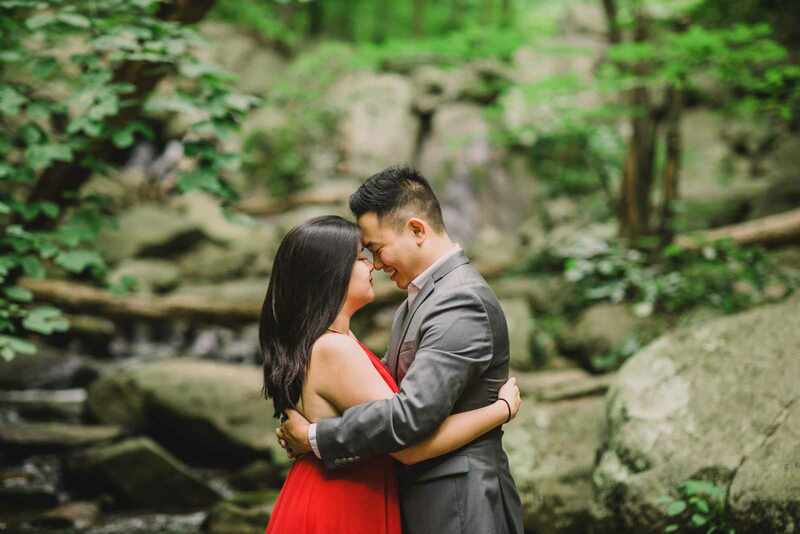 We hardly had to ask the pair before they were off and clambering across the rocks to get right in the middle of the river for some one of a kind photos. 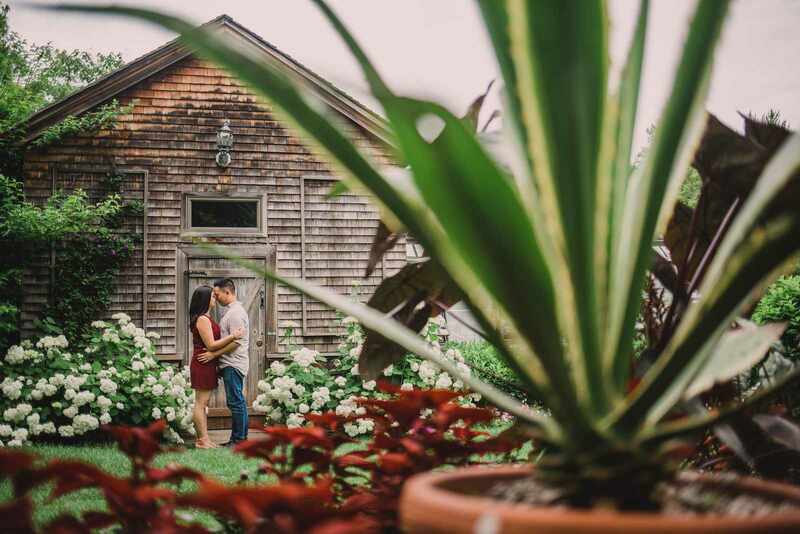 We may have nearly dropped the camera and did get a bit wet trying to find the perfect position to photograph from but the results were well worth it. 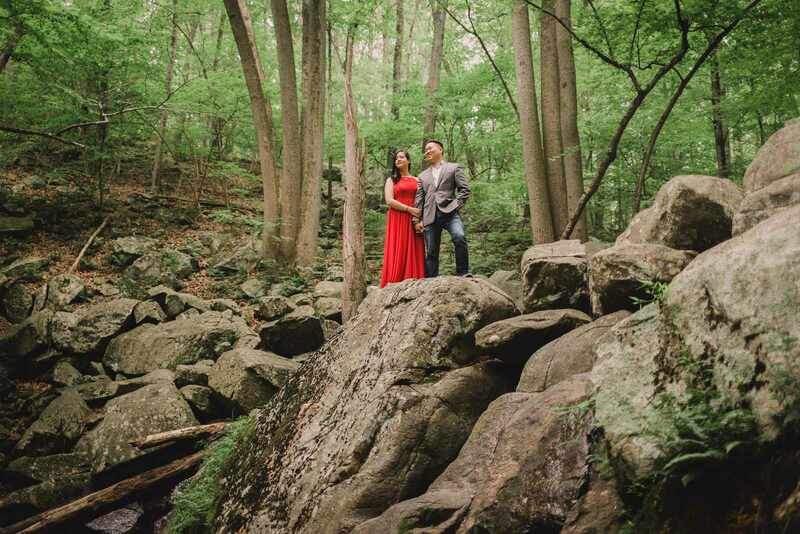 It was hard believe we found such a setting in North Jersey within 45 minutes of NYC and Jersey City. 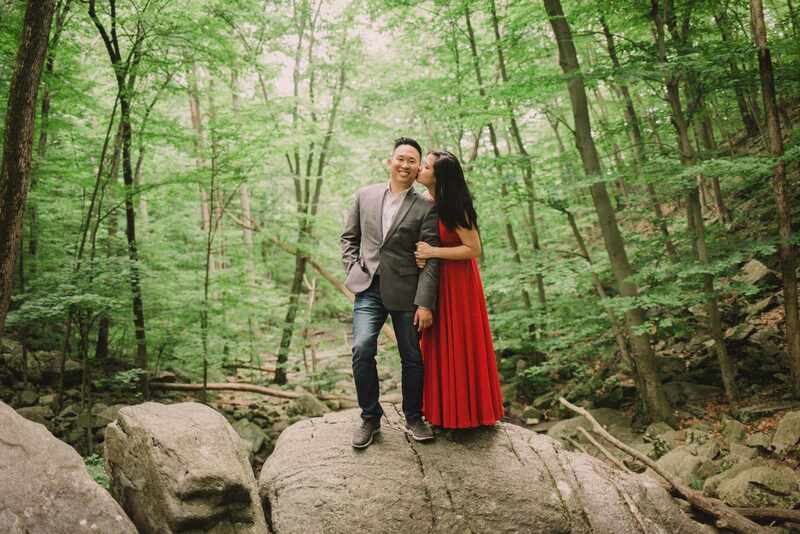 As the woods started to become dark, we then made our way to the more manicured Willowwood arboretum which began as a farm and is now preserved as a Morris County Park. 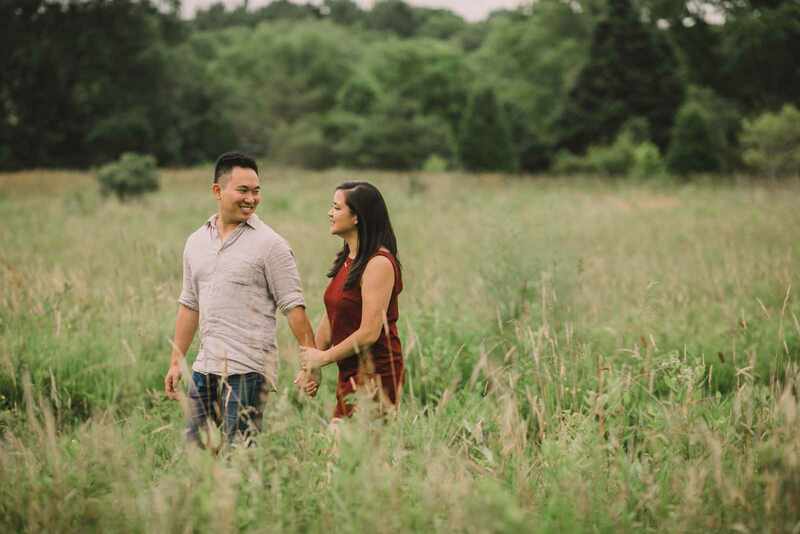 We found a huge variety of plants, garden pathways, and greenhouse buildings all within a short walk before ending the engagement session photography in one of the giant fields surrounding the gardens as the sun set. 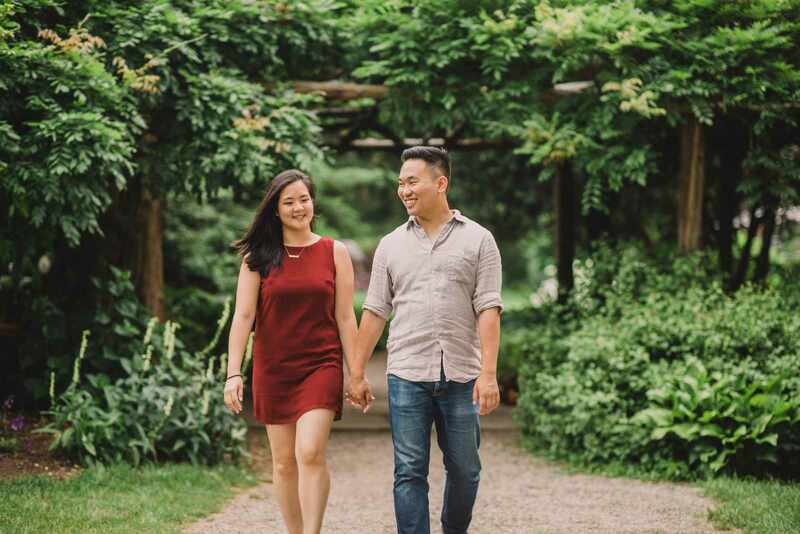 It was a total blast and we can’t wait to meet the pair again on their wedding day later this year! 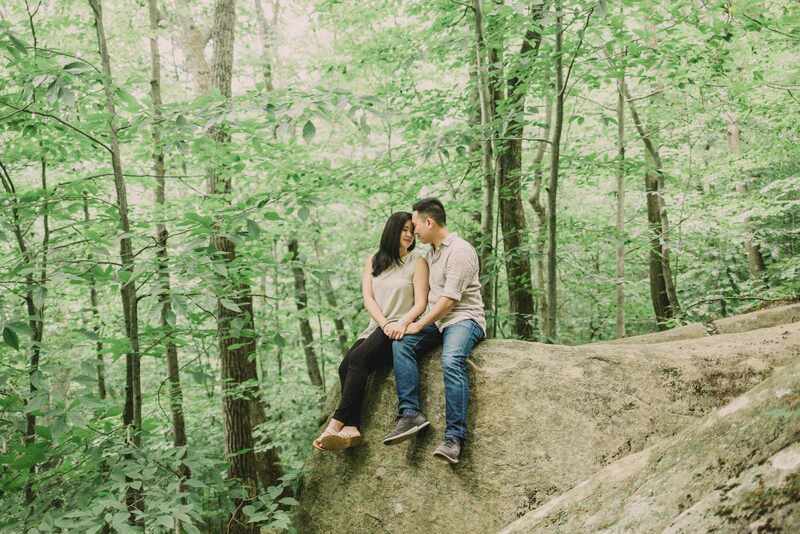 For the adventurous couple, and we truly mean adventurous, Hacklebarney State Park is a one of a kind spot that we would love to photograph at again. 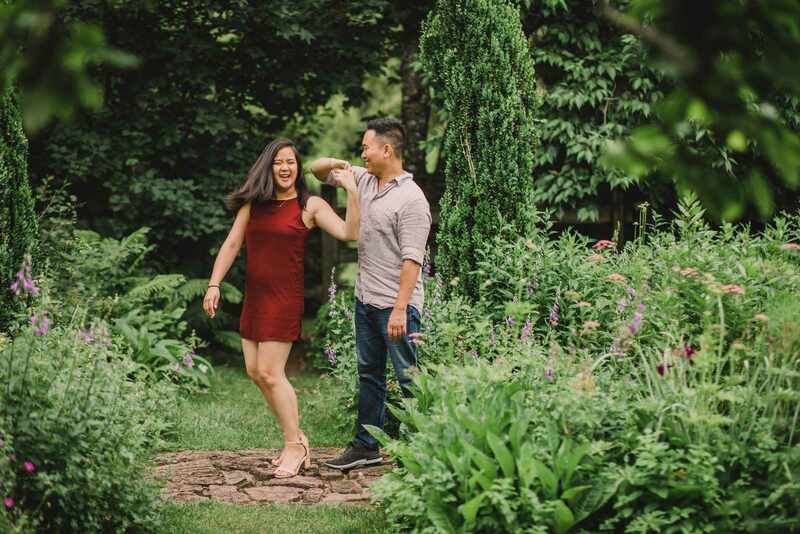 If you are looking for a wedding photographer and to schedule an an engagement session Contact Us for more information!